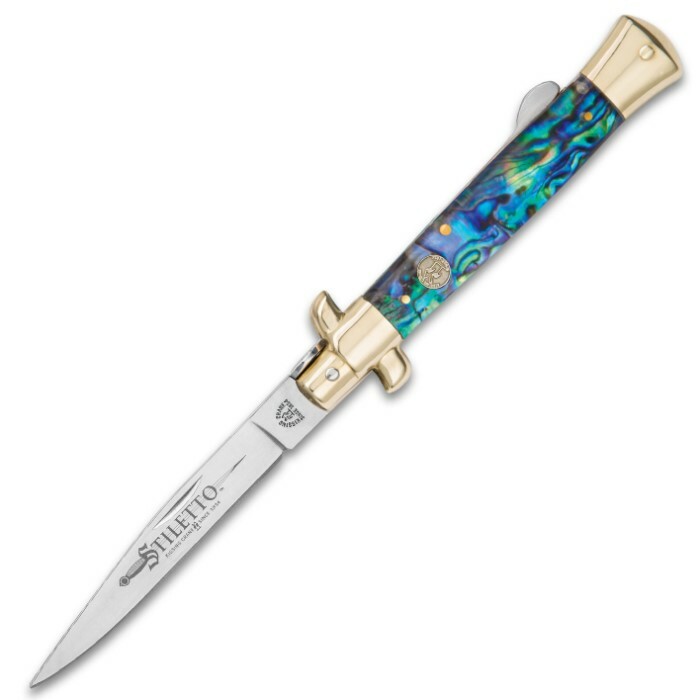 Kissing Crane Genuine Abalone Stiletto Pocket Knife | BUDK.com - Knives & Swords At The Lowest Prices! We know you like stilettos, but you've never seen one this spectacular! 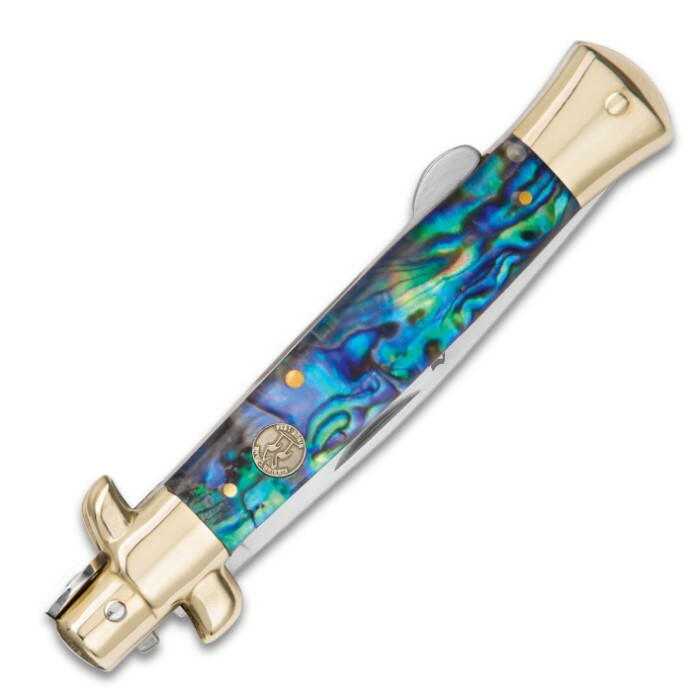 Kissing Crane's Genuine Abalone Stiletto Knife features a glittering, breathtaking abalone handle, beautifully offset by brass plated pins, bolsters and a rustic brass Kissing Crane seal inset. 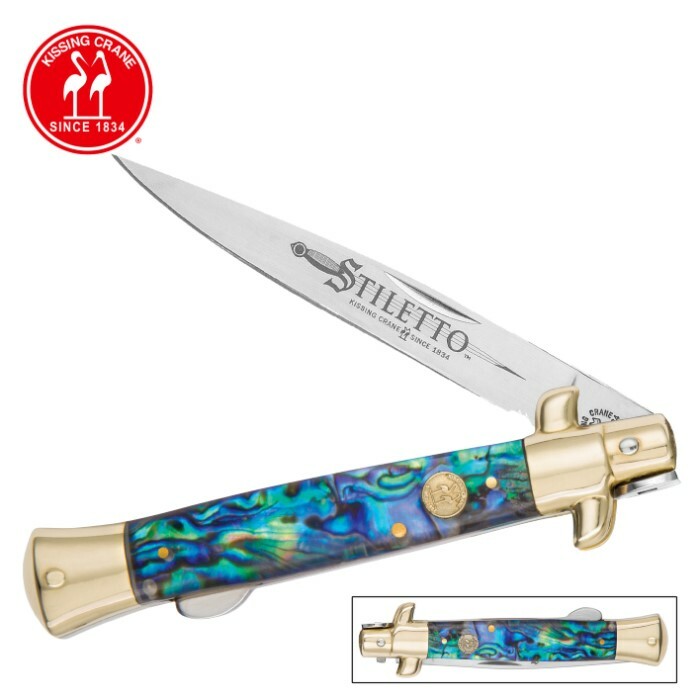 It boasts a mirror-polished 4" 420 stainless steel blade, as well. From the field to the display case, you can't go wrong with this Kissing Crane gem! Great knife, typical Kissing Krane quality,strong spring and positive lock.Quality rivals if not exceeds the original German production. Good knife for peeling apples.